On 24 June 2018, Russian Railways ran a record number of free trains to carry fans and FIFA accredited media representatives. 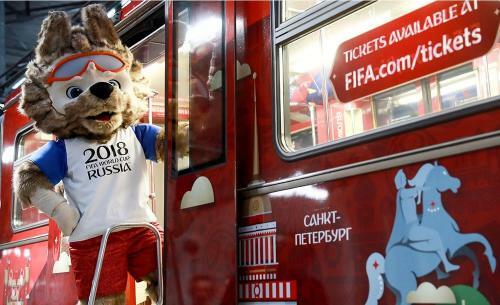 The Company laid on 45 trains for the fans, who travelled to Moscow, Kazan, Nizhny Novgorod, Samara, Adler, Rostov-on-Don, Kaliningrad and other cities hosting World Cup games. In particular, 15 trains carrying about 8,500 fans and accredited FIFA representatives of the media left for the matches to be played on 25 June in Kaliningrad, Samara and Volgograd. In addition, about 4,000 fans travelled on free trains to see how the Russian national team would perform in its match against Uruguay. More than 2,000 people on four trains arrived at the Volgograd Arena stadium for the match between the national teams of Saudi Arabia and Egypt, while the same number of fans left Moscow on 24 June to arrive in Kaliningrad in time for the game on 25 June, when Spain will play against Morocco. Fans attending the 2018 FIFA World Cup Russia™ will travel on Lastochka (Swallow) and Strizh (Swift) double-decker trains with new compartment carriages. Each train features special places for less mobile citizens, as well as dining cars offering fans tasty hot meals. In total, all the long-distance trains laid on for the free transportation of World Cup fans, including high-speed Sapsan trains, will make 734 runs on 31 routes between the 11 cities hosting the matches. Additional trains will run on routes with 11 intermediate stops: Moscow-Kurskaya, Tuapse-Passazhirsky, Krasnodar-1, Rostov-Glavny (Rostov Main Station), Tver, Vladimir, Kazan-2 (Vosstanie), Ruzaevka, Kazan, Nizhny Novgorod-Moscow and Saratov-1- Passazhirsky. Αναρτήθηκε από geop στις 9:54 π.μ.